How Does your SaaS Site Availability Stack Up Against the Competition? 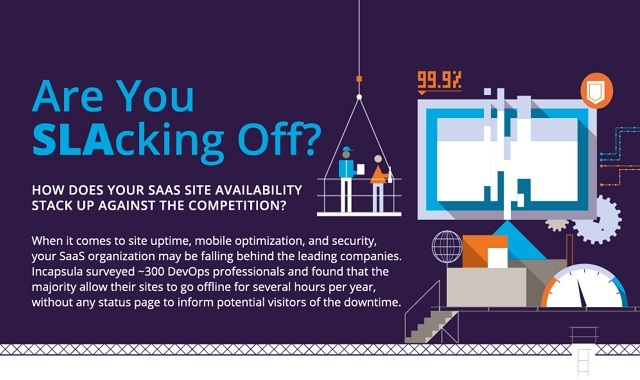 #infographic ~ Visualistan '+g+"
When it comes to site uptime, mobile optimization, and security, your SaaS organization may be falling behind the leading companies. Incapsula surveyed ~ 300 DevOps professionals and found that the majority allow their sites to go offline for several hours per year, without any status page to inform potential visitors of the downtime.